The PanLex Translator is a web browser extension developed by Li Wang. Its purpose is to translate any string selected by a user in a browser into any language. It is currently compatible with only the Chrome browser. You may install it by downloading the extension from the Chrome Web Store. After that, you will see the PanLex logo in the upper-right corner of the Chrome window, where you can choose L1 and L2 language varieties. 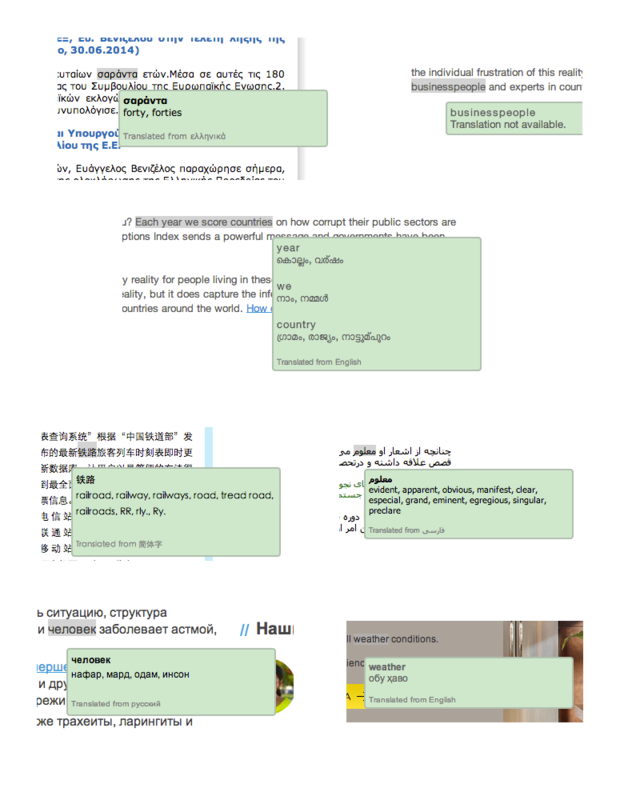 Future versions of this extension may include improved lemmatization, greater multilingual support, and word segmentation for languages that need it. Developers wishing to participate in the work on this extension are encouraged to volunteer. Here are some screen shots of the extension at work.